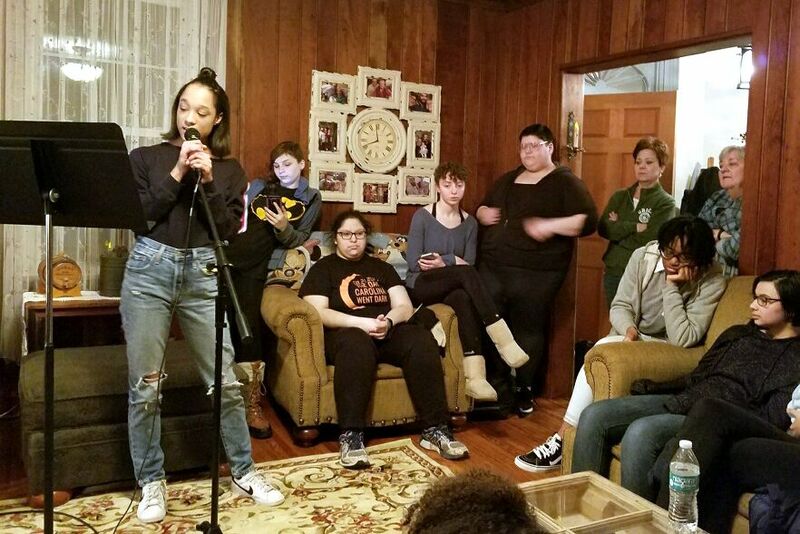 Friday, Mr. Lang hosted an open mic night at Head of School Mrs. Borst's house. 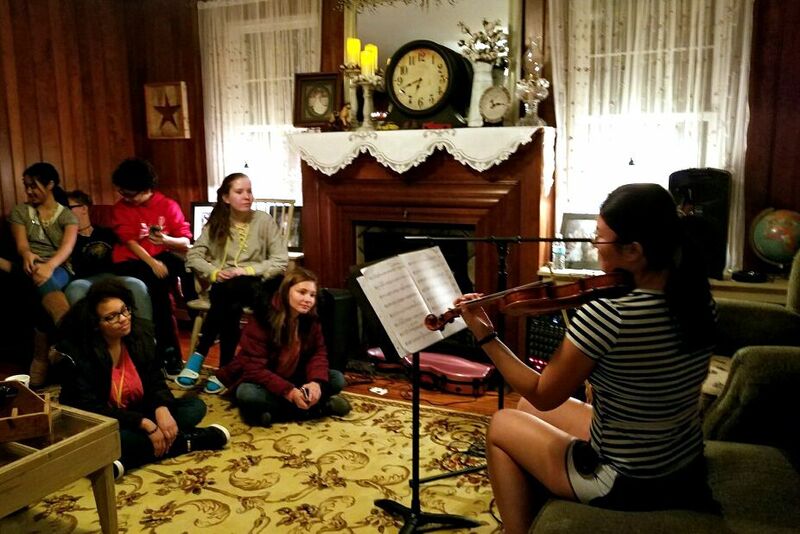 Students could gather in the cozy living room to recite poetry or short fiction, sing, play instruments, or just socialize and applaud the performers while enjoying a hot cocoa. 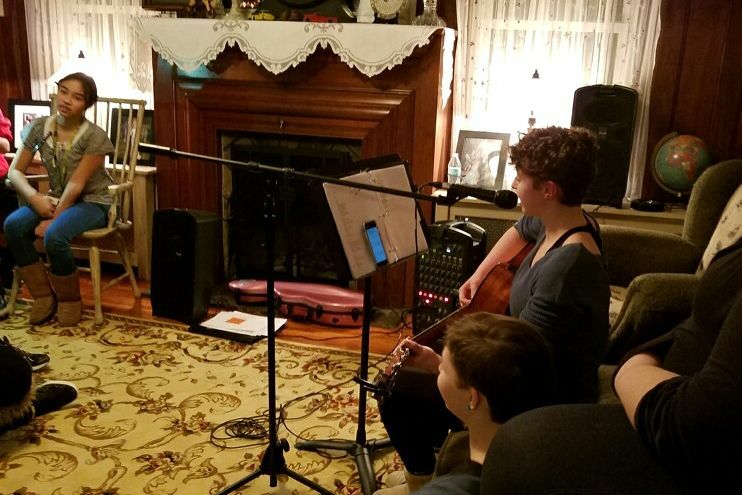 Mr. Lang entertained the crowd by playing tunes on his guitar and even learned some new songs by request to accompany the singers. 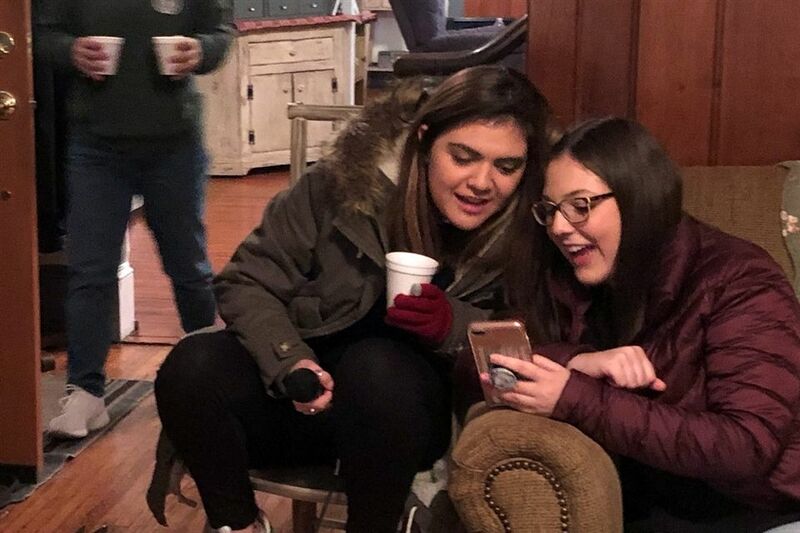 Past Open Mic nights have been held in Grier's Coffee Barn, which is a cozy snack bar housed in a restored log cabin on the Grier Campus, near the Lower Barn. In addition to a variety of snacks, students can purchase healthy smoothies, bubble tea, and coffee beverages. 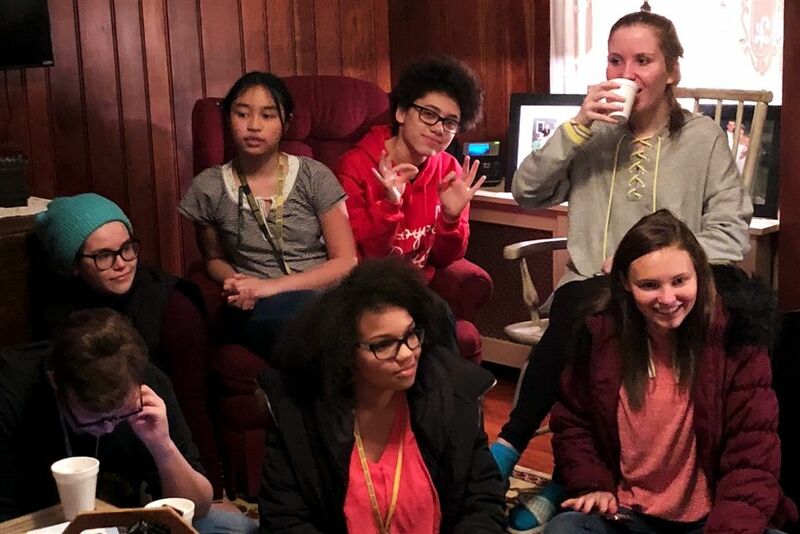 Mrs. Borst was happy to offer her house for the event to give the students a change of scenery. Mr. Lang teaches 9th grade English at Grier, is a member of Rock Band, and participates in Outing Club activities, like rock climbing and camping. 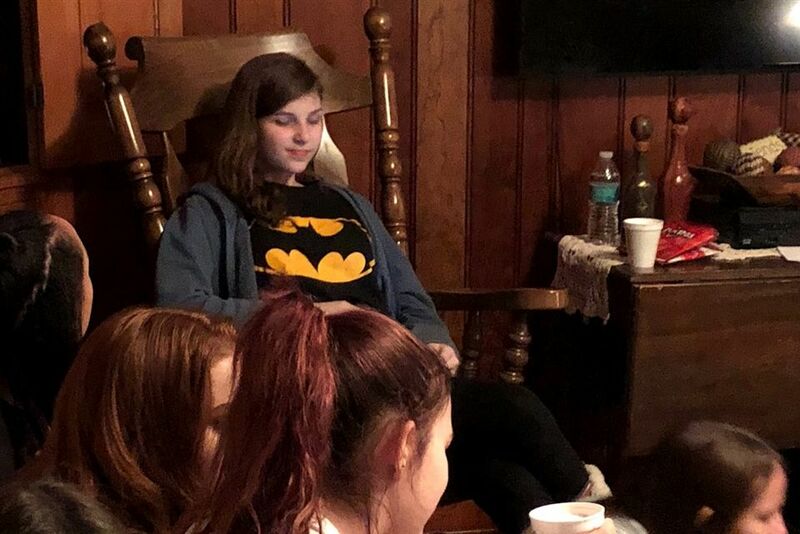 Learn more about Grier's Weekend Activities. 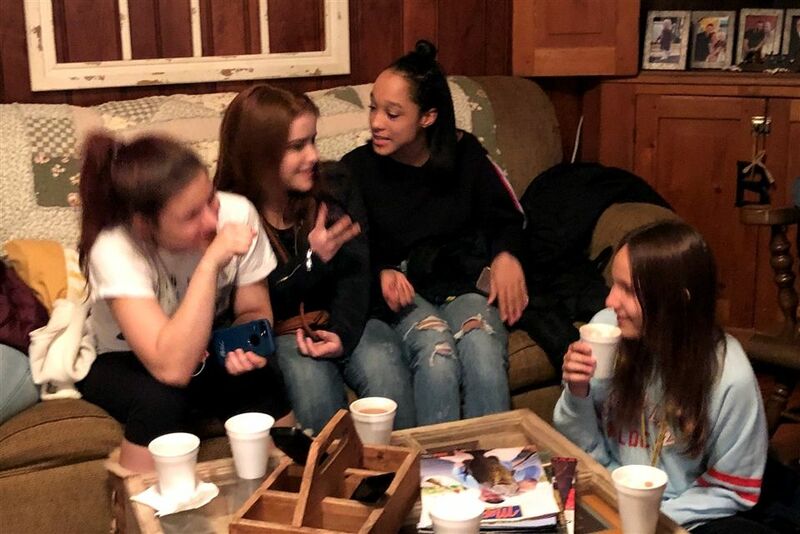 Friends gather in Mrs. Borst's cozy living room to recite poetry or short fiction, sing, play instruments, and socialize. Amy Y. strums and sings. 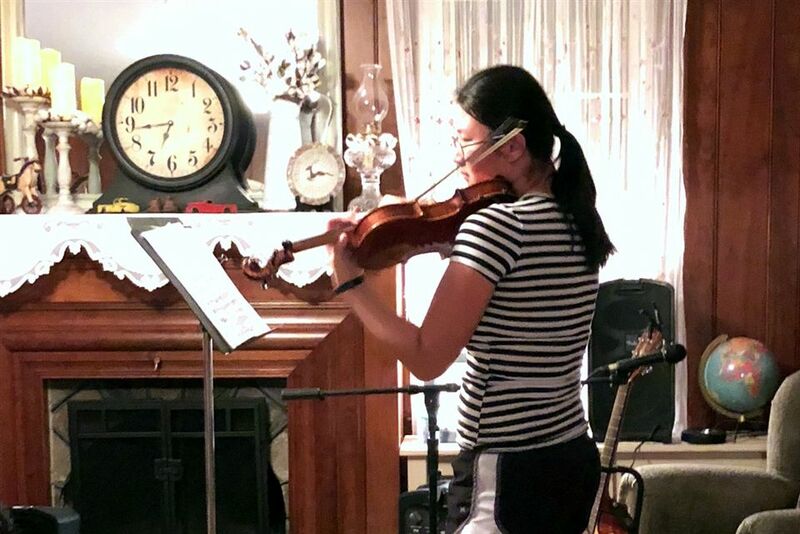 Michelle S. performs a violin piece. Another piece by Michelle S.